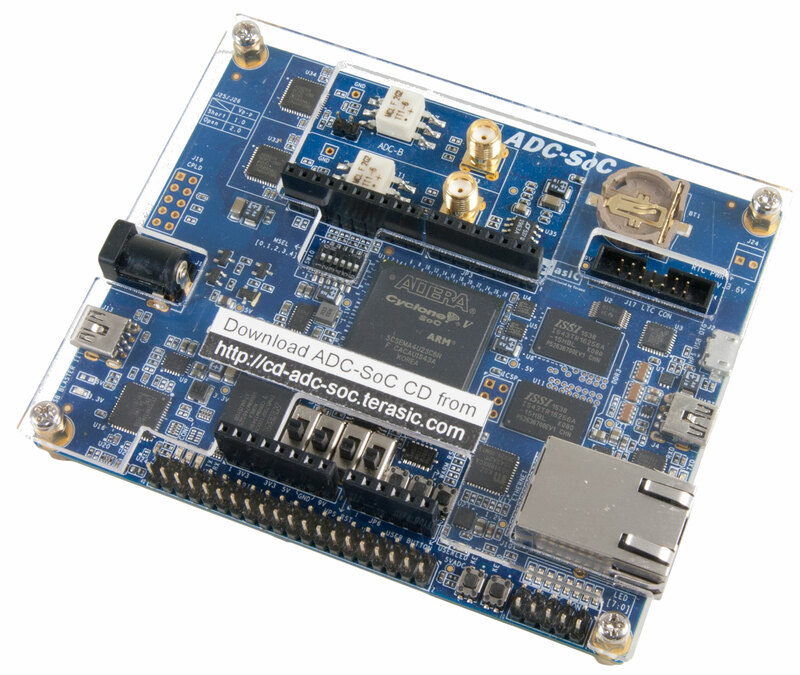 The ADC-SoC is a SoC FPGA motherboard with dual-channel high-speed ADC. The main card is based on the Terasic DE0-Nano-SoC board with a built-in high-speed ADC circuit on the DCC (AD / DA Data Conversion Card) on top of the main card. This feature makes the board an ideal platform for systems that require high-speed ADC applications. The built-in ADC circuit uses SMA as the input interface. The circuit provides two channels, each with 14-bit resolution and a sample rate of up to 150 MSPS (Megasamples per Second).